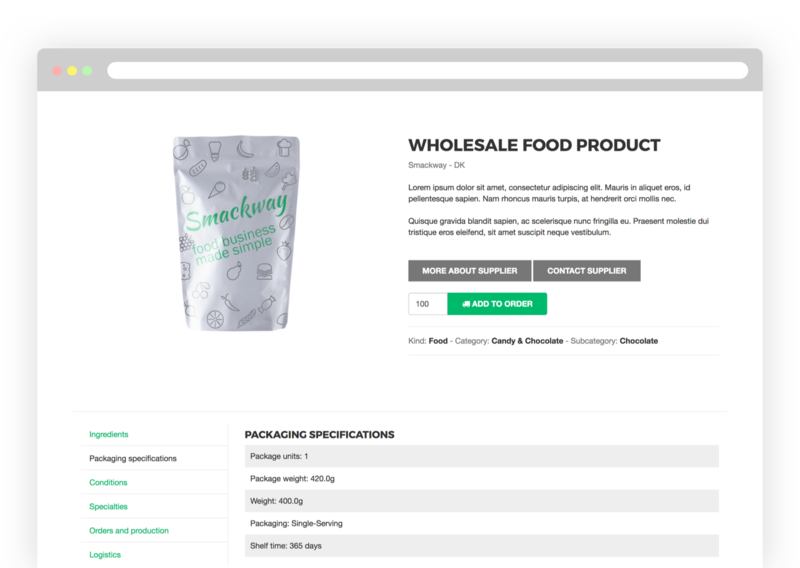 Find food suppliers and the products you need for FREE. When browsing products, you can save the interesting ones to your favorites for later review. Our algorithm will find the best matching products for you and notify about new and relevant products. One click and you can touch and taste the product yourself to make a better judgement. 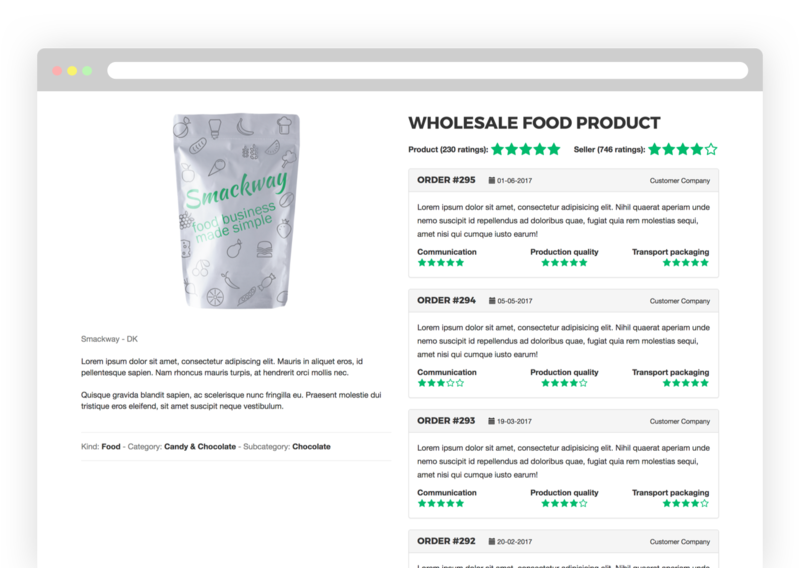 All suppliers on Smackway are verified by our team to prevent fraudulent users. This saves you precious time from useless contacts and most important - ensures security. 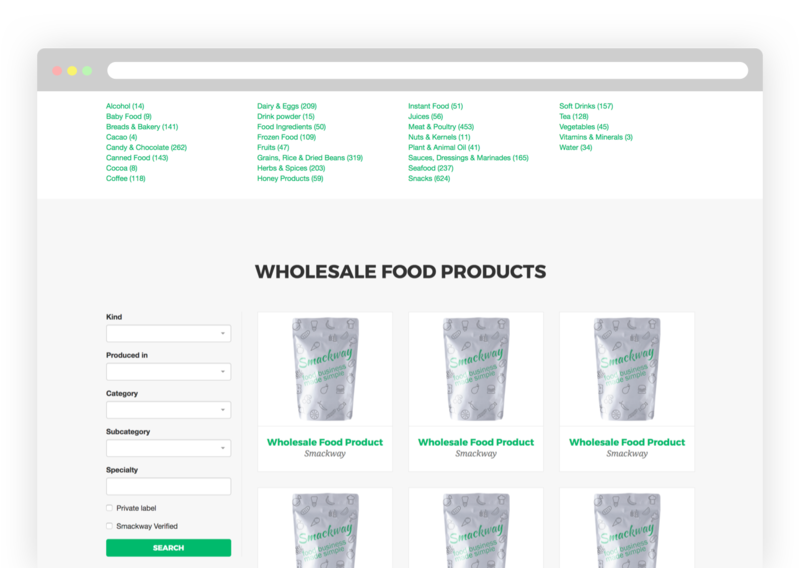 You can sign up and search for products, contact suppliers, order wholesale products - all for free. We are constantly working on bringing extra premium features, which will be paid. To start, simply sign up here for free. Afterwards, you are free to browse the products. 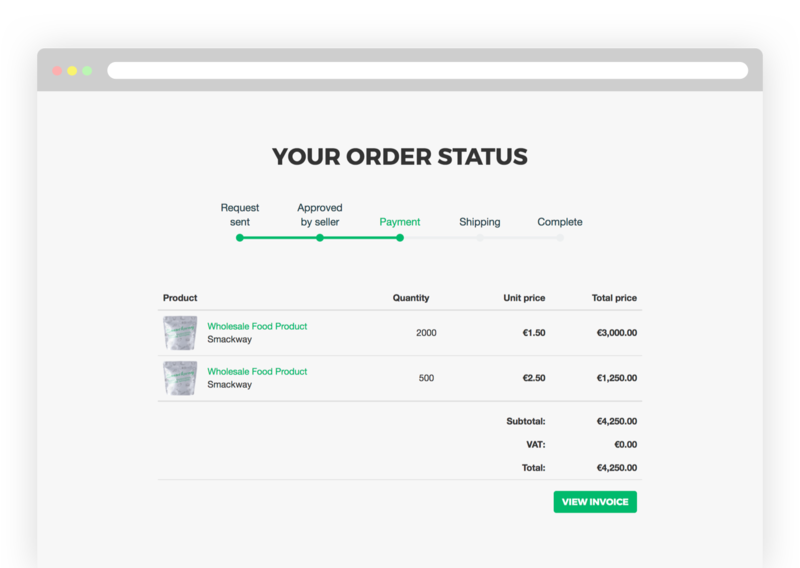 The supplier sets their desired minimum order quantity and you may not order less than that.